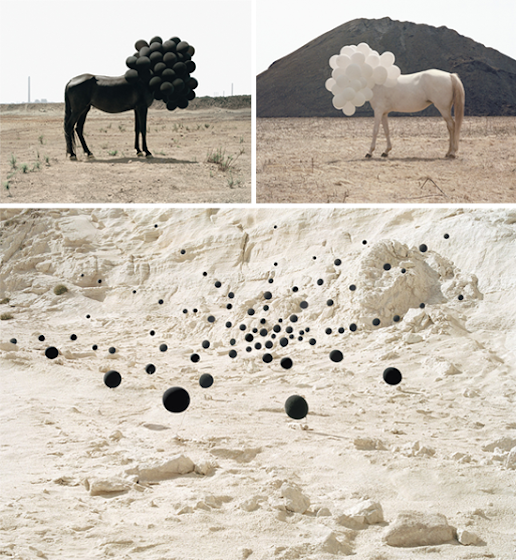 Our perceptions of space are questioned and teased by Andrea Galvani's stunning photographs. fascinating. the grid in the open space feels like a mathematical overlay. Greatttt!I like it so much! whoa, insane. i'd be interested to know how they got the horses to stand still and wear all those balloons!